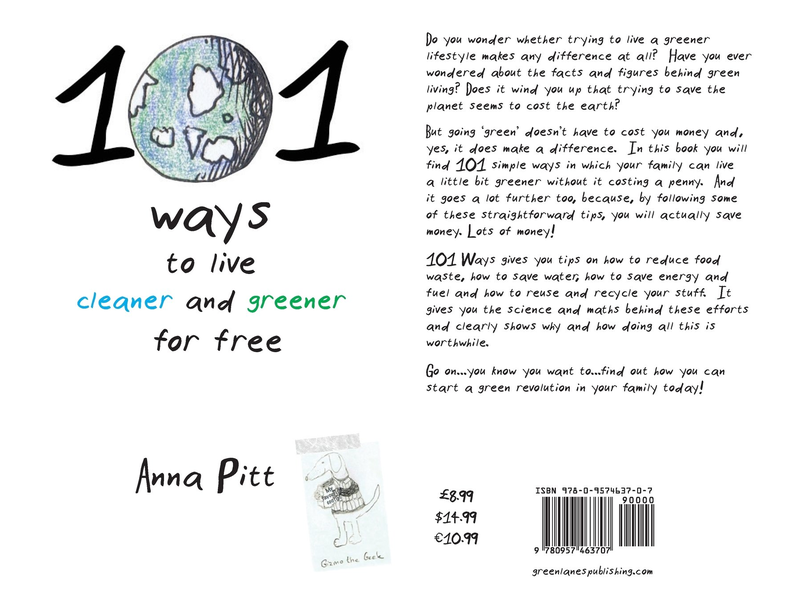 In this book you will find 101 simple ways in which your family can live a little bit greener without it costing a penny. In fact, you’ll SAVE money! Buy here and you can get your copy signed by the author. Do you wonder whether trying to live a greener lifestyle makes any difference at all? Have you ever wondered about the facts and figures behind green living? Does it wind you up that trying to save the planet seems to cost the earth? Going ‘green’ doesn’t have to cost you money and, yes, it does make a difference! In this book you will find 101 simple ways in which your family can live a little bit greener without it costing a penny. And it goes a lot further too, because, by following some of these straightforward tips, you will actually save money. Lots of money!